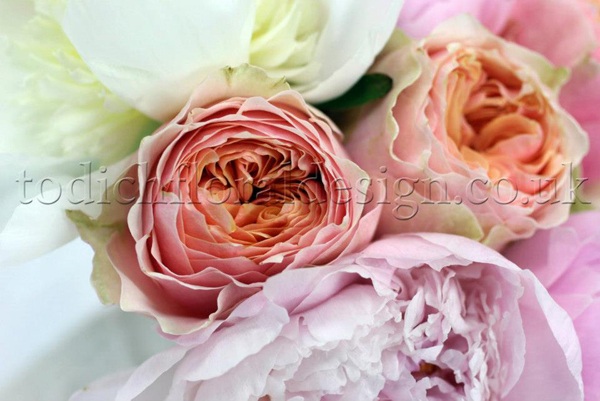 TFD » Blog » Posts tagged "summer wedding flowers ideas 2014"
Wedding floral inspiration for summer weddings by London bridal florist and floral stylist Todich Floral Design LTD. The most popular summer flowers for wedding bridal bouquets. Summer is the most popular time of year to get married in the UK, which is hardly surprising. 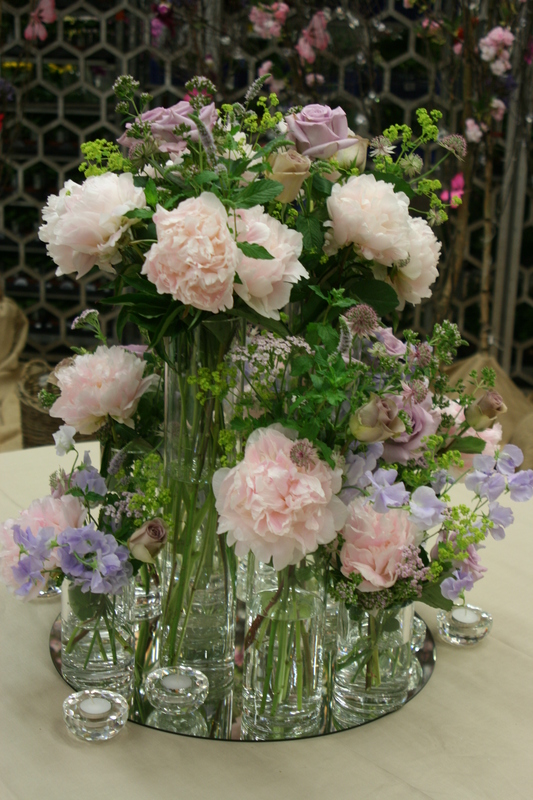 Not only is it normally the warmest time of year, but the arrival of summer heralds the arrival of many beautiful flowers too, such as peonies, hydrangea, delphiniums and sweet peas, all of which make wonderfully romantic summer wedding flowers. So if you’re getting married in summer, but not quite sure sure where to start in terms of flowers, wedding florist Todich Floral Design is here to help. 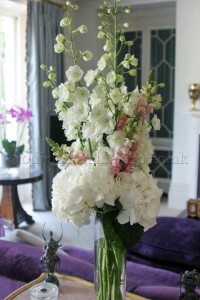 We have a number of summer wedding flower ideas to kick start your inspiration for your wedding day. 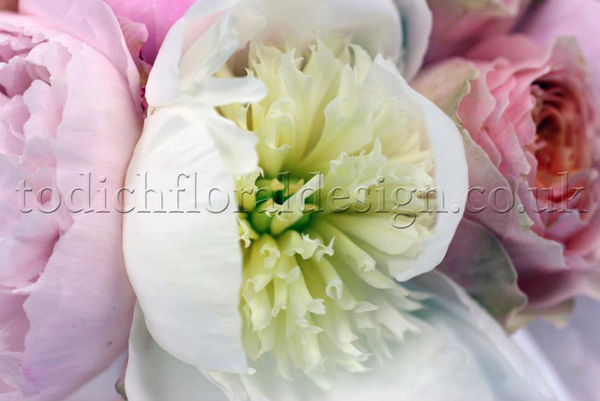 Summer brings with it lots of beautiful, delicate flowers in dreamily soft, feminine pastel hues; ideal for brides that want an English country garden or vintage wedding theme. 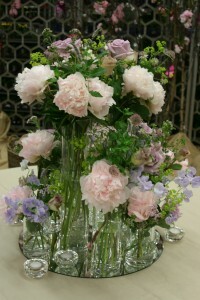 Below is a list to help you plan your summer wedding flowers. Flowers available for summer bridal bouquets, flower arrangements, wedding buttonholes and corsages include: Aster (daisy-like flowers on upright stems), Alchemilla (a common garden flower with tiny yellow and green flowers), Carnations (long lasting and can be used on their own, in pomanders), Cornflower (a strikingly beautiful blue flower), Chrysanthemums (bigger flowers, with large petals), Dahlias (dramatic-looking flowers with a round shape), Delphinium (tall flowers), Gypsophila (very small white flowers), Hydrangea (a flower with an enormous head and often used for purple summer wedding flowers), Lavendar (a lilac flower with a fabulous aroma), Nerine (clusters of delicate flowers), Nigella (gentle, papery flowers; also referred to as ‘love in the mist’), Peonies (big, soft, papery flowers), Phlox (a favourite country garden flower), Roses (a classic flower available all year round and in numerous colours), Sweet Peas (short-lived flowers with beautiful colours and a gorgeous fragrance), and Zinnias (similar to Dahlias). A simple image search online will show you what these seasonal wedding flowers look like and provide plenty of inspiration for different styles of wedding bouquets and wedding reception flowers. If you’re having bridesmaids at your wedding, you will probably want flowers for them too. 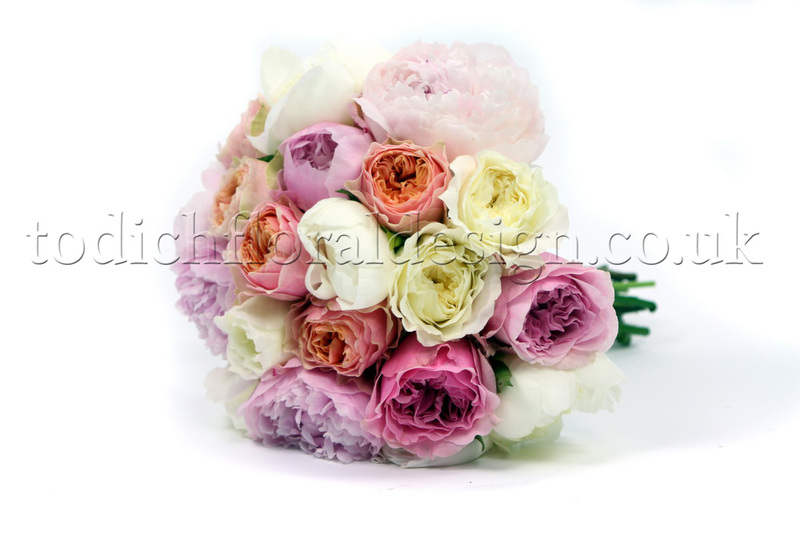 Traditionally, bridesmaid bouquets are similar to the bride’s bouquet, in slightly smaller versions. However, they don’t necessarily need to be the same shape. You can pick and choose from a number of different shapes for your summer wedding bouquet including the classical, neat, round posy bouquet, a cascading or teardrop bouquet, an oval bouquet, a heart-shaped flower bouquet, a loose, natural hand-tied, or for younger bridesmaids, pomanders, baskets, wands or mini hand-tied designs. Pretty, loose petals also make a lovely addition to summer weddings, and can be provided in baskets for younger bridesmaids to scatter down the aisle as they walk. 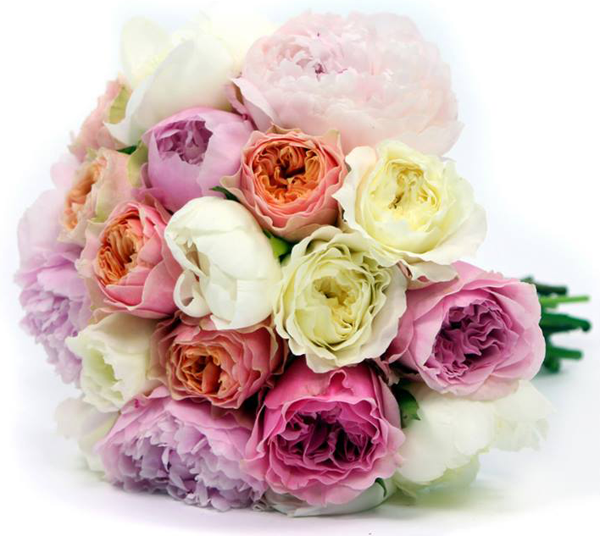 Roses, dahlias, hydrangea and peonies are particularly popular for summer wedding bouquets. These full, blowsy flowers all make excellent leading ladies in summer wedding flowers and arrangements. Smaller, delicate flowers like aster, lisianthus, cornflower, nigella and phlox make lovely additions, as do sweetly scented freesia and sweet peas. Gypsophila, or baby’s breath, which features tiny clusters of pin-sized white flowers has also seen something of a resurgence and is often now used alone to create romantic, white wispy clouds of flowers. Carnations and chrysanthemums also often get a bad press, but they come in a huge choice of colours and shapes, some really pretty varieties and make great, cost-effective secondary flowers to help fill out designs. 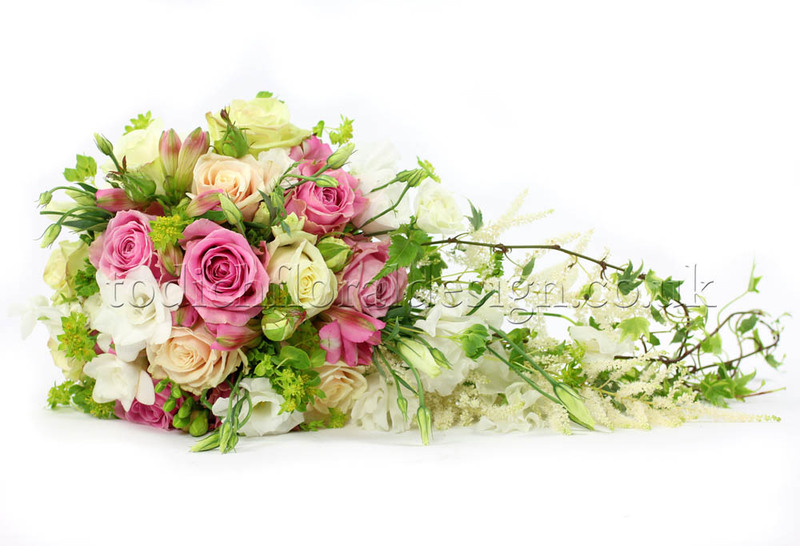 A good florist will discuss wedding flowers prices with you and help you make the most of your budget, so be sure to provide an indication of this when you start discussing ideas. 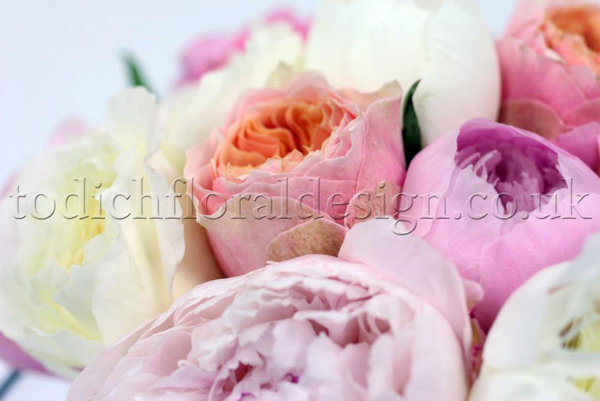 wedding and event florist Todich Floral Design can help. 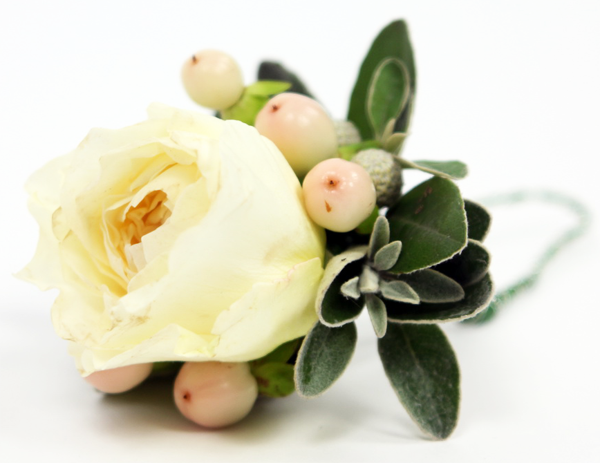 We can cater for all your flower needs on your big day, from the bride’s bouquet and bridesmaid’s flowers to buttonholes and corsages, plus table decorations and custom-made wedding decorations, such as floral arches, pedestals, garlands, swags or mantelpiece designs. Our dedicated staff members have many years’ experience in all sorts of venue as wedding florists in London, and bring with them a wealth of knowledge. 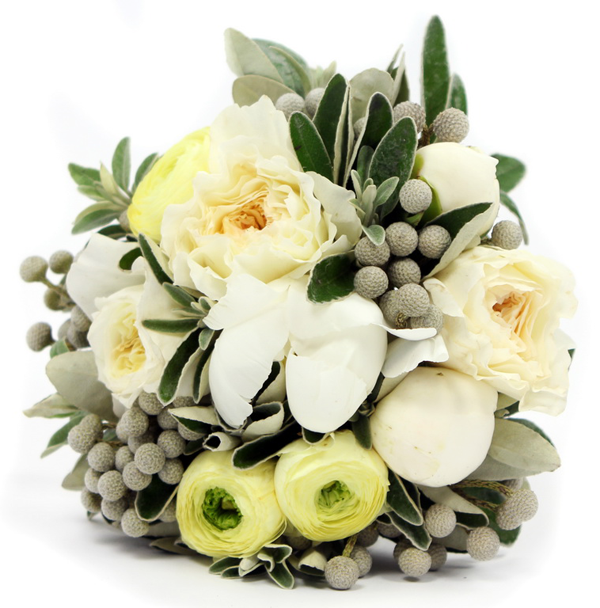 We will be there every step of the way to advise on your wedding flowers cost and create flower arrangements within your budget that will complement your outfits, colour scheme, personality and style. contact us today. 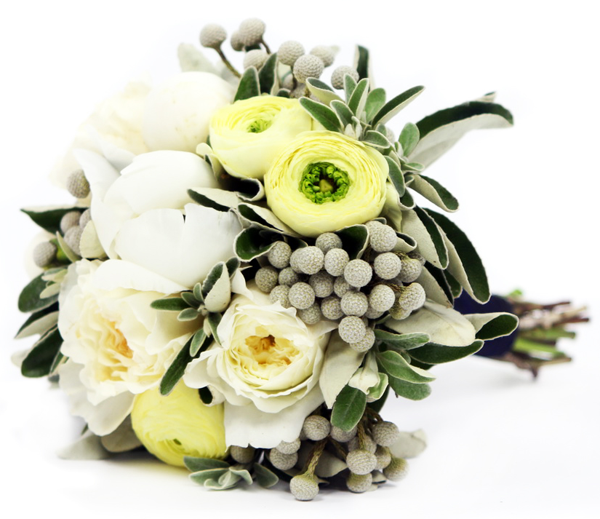 Alternatively, browse and order bridal flowers online and book a flower delivery to anywhere in London or the UK using our free wedding flowers budget planner.